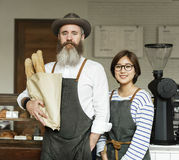 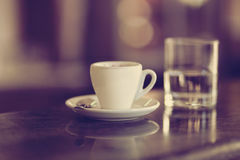 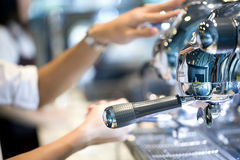 Barista Cafe Making Coffee Preparation Service Concept. 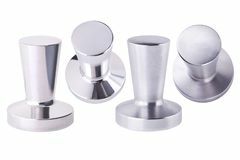 Set of metal coffee tamping accessories. 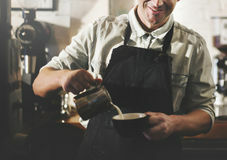 Barista Kit. 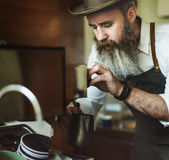 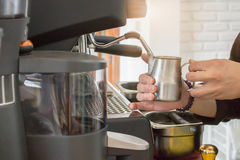 Barista preparing cappuccino with coffee machine. 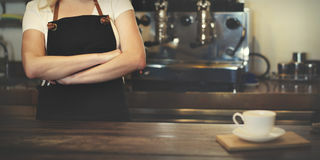 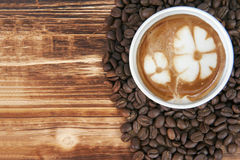 Coffee Preparation Concept. 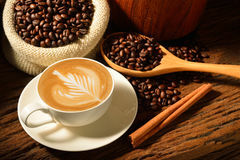 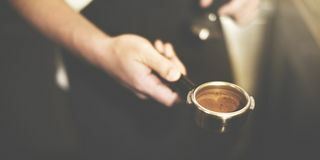 Process of preparation of coffee. 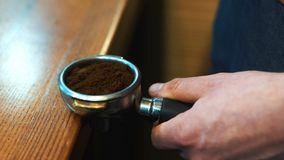 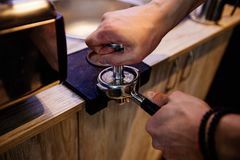 Espresso tamping.Barista is preparing ground for espresso machine. 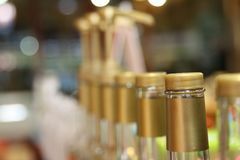 Many bottles in the coffee shop. 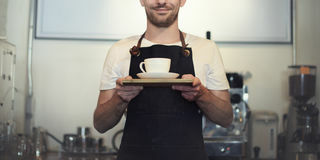 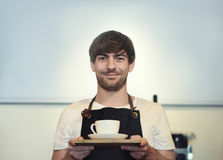 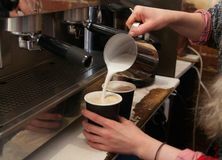 Barista making fresh takeaway coffee. 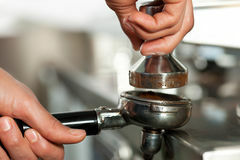 Close-up view on hands with portafilter, barista coffee preparation service concept. 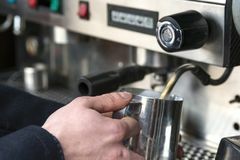 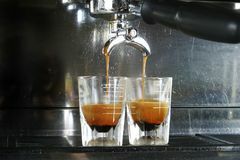 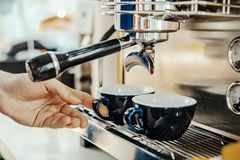 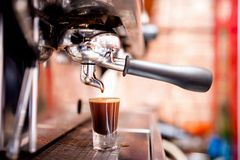 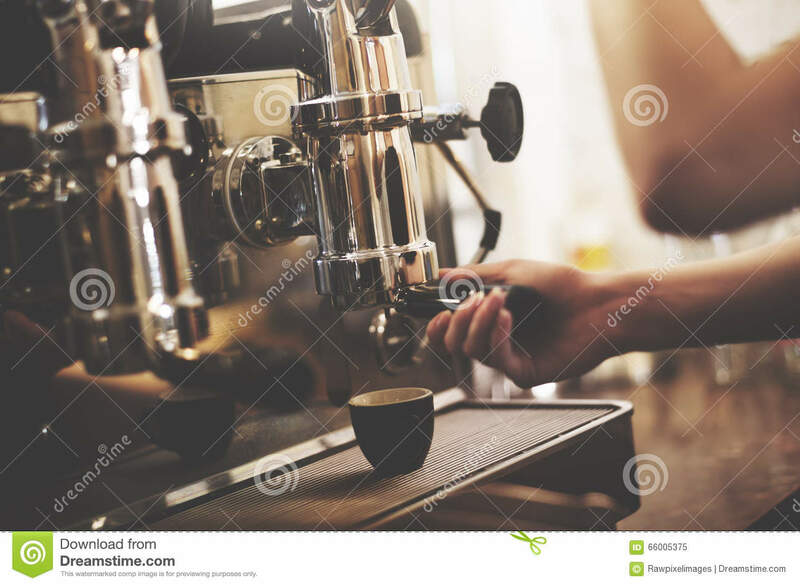 Behind coffee barista counter scene filled with coffee ground kn Barista Cafe Making Coffee Preparation Service Concept Barista Cafe Making Coffee Preparation Service Concept.